I belong to the Texas Wine Lovers group on Facebook. I had been watching how Hi-Tek was arranging a #txwine Twitter tasting at GenuWine in Magnolia with Retreat Hill Winery for March 30th. 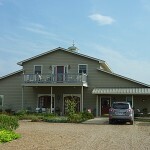 We happened to be in Retreat Hill Winery’s area the week before and stopped by to visit. Owner/winemaker Billy Cox was there serving his wines. 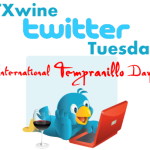 There is a #txwine Twitter Tuesday scheduled for April 4th (Wednesday) where we are supposed to bring our favorite local wines, in my case Texas wines. Since Billy Cox is on Twitter, I decided to get one of his wines and ask if he could participate on Wednesday. He is interested and hopefully he will be online. So when Hi-Tek arranged the #txwine Twitter tasting at GenuWine, I was interested since I already had some Retreat Hill wine. It turned out Friday night I was alone and I was trying to decide with a couple friends what to do. One choice was the GenuWine event and since they live in the Woodlands, we decided to meet there. 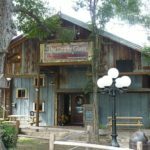 I arrived at GenuWine and my friends were already there along with Billy Cox. I met Hi-Tek aka Jim (@ctsv) and his wife Elaine (@IamAlyce). A projector was set up to show any tweets with the hash tag #txwine. GenuWine is a wine tasting room and it seemed very nice. There were not too many people there at 6:00pm but at the end of the evening, most tables were full. I definitely wish it was closer to where we lived. 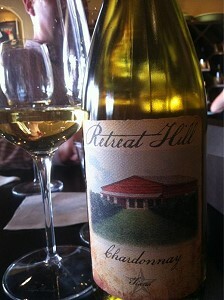 First up was Retreat Hill’s Chardonnay. It was a nice start to the evening’s tastings. I asked Billy where the Texas wine grapes came from and he told me it was from the Fort Stockton area. GenuWine serves many varieties of food and we enjoyed a nice cheese, fruit, and meat plate while tasting Retreat Hill’s wine. The last wine from Retreat Hill’s was a Merlot. This wine was made from grapes from Lodi, California. The tasting was over and we decided to get a bottle of wine. Our sommelier mentioned his favorite Texas wine was 1836 from Llano Estacado. I had just heard about it a few weeks ago when I met one of Llano Estacado’s winemakers at a wine tasting. I decided to treat my friends to this blend of Texas wine which is made from mostly Syrah and Cabernet Sauvignon with some Mourvedre, Carignan, and Grenache. While we were enjoying the bottle of wine, live music had started which added to the ambience. After we finished the bottle of wine, it was time to head home and we all agreed we had an enjoyable evening. If GenuWine has any future events like this, we most likely will be participating. They do hold weekly tastings which also sometimes include live music. 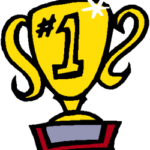 Wine Bloggers – Are We in a Competition?